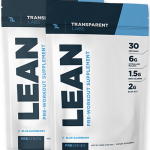 If you’re looking for a pre-workout supplement specifically formulated for bodybuilders, this may be the one for you. The Evlution Nutrition ENGN Shred pre-workout supplement claims to boost energy levels for an enhanced gym routine. 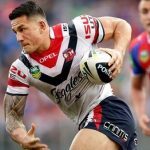 It’s designed to provide explosive power and improved focus to keep you focussed on your goals. The supplement is also supposed to help boost your metabolism to get the inner workings of your body on the move. 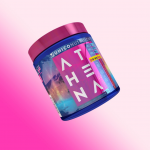 Available in several flavors, including green apple, pink lemonade, and cherry limeade, the producers claim it can act as a tasty wake-up call before hitting the gym. 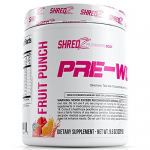 In this Evlution Nutrition ENGN Shred review, we’ll be examining the ingredients within the pre-workout supplement to see if it really works. We’ll also be looking at the general intentions of the product to decide whether it’s a worthwhile purchase. 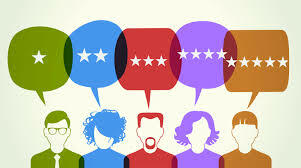 We’ll also evaluate whether it works best for men or women. 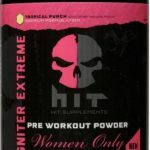 This particular product is aimed more at bodybuilders than anyone else. However, Evlution Nutrition endorses it as a supplement for all athletes. It claims to boost energy levels, so anyone who might be struggling in the gym, especially in the early stages of a workout, might enjoy it. If you are just looking to lose weight, another supplement would be better. It doesn’t have ingredients specifically aimed at weight loss; this one mainly focuses on boosting energy levels to increase your power. It’s also not advised for anyone under the age of 18 or those with pre-existing medical conditions. For example, if you have low or high blood pressure, kidney or thyroid disease, diabetes, heart or blood issues, or are prone to seizures, you should avoid this product. What Is It About Evlution Nutrition ENGN Shred That Sets It Apart from the Rest? 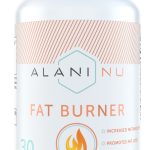 This product combines a number of ingredients designed to boost your energy, and increase your focus, endurance, and power. Yes, it’s said to boost your metabolism, but weight loss is certainly not the primary goal here. 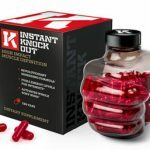 The product claims to be ideal for anyone looking to bulk themselves up. With the explosive power it’s said to provide, it could be a great supplement to take for heavier weight lifting and muscle gains. 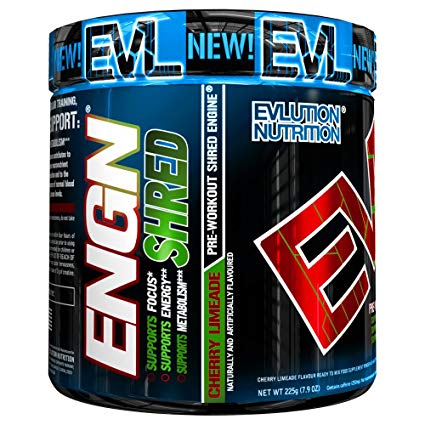 What Are the Main Ingredients in Evlution Nutrition ENGN Shred? A number of these are pretty useful, but there are few we dislike. As I’m sure you’re well aware, caffeine is used to boost energy levels in the gym. Providing short bursts of energy, caffeine allows you to get the best out of your exercise by keeping you focused and awake. Coming in a few forms, vitamin has been approved in the EU in relation to a number of health claims. It helps to increase your focus while exercising, due to its ability to support normal brain function. It also optimizes your energy levels for the best results by reducing your tendency to fatigue. More generally, increased levels of Vitamin B can aid your well-being by improving your nerve and cell function. It also helps with digestion, eyesight, heart, and muscle workings. Niacin is an organic compound, naturally obtained in a healthy, well-rounded diet. It reduces the risk of severe niacin deficiency, known as pellagra, but otherwise, we‘re a little bemused by the use of this ingredient in a fitness supplement. This is another confusing ingredient to us, as it’s usually advisable for a pregnant woman to ingest. This is because it can aid the baby’s health prior to birth. However, we wouldn’t recommend a pregnant woman to use a pre-workout supplement due to the other stimulants included. Originating from the olive tree, the olive leaf was used in traditional medicine to treat various illnesses. It may sound fancy, but in practice, it’s pretty pointless. Is There Anything Else I Should Know About Evlution Nutrition ENGN Shred? Although the product has a few of the ingredients we love, we think you should know that there are several of our favorites missing. These include EnXtra, which is a safe blend of natural plant extracts to boost your energy. It also helps increase the effects of caffeine over a long period, reducing jitters along the way. ENGN Shred also omits one of our favorite ingredients: coconut water powder. This is known to hydrate you, keeping you feeling revived and healthy. It also boosts energy and reduces blood pressure, amongst other things. Finally, we love anything containing Oxyjun, which is proven to safely increase stamina in the gym. Generally, it’s pretty clear that the omittance of these great ingredients is to cut costs, so upping your price point may be advisable. Otherwise, a guaranteed energy boost over a long period of time is unlikely. Yes, it might provide a boost during your gym session, but not throughout the day. This product is said to aid weight loss, but there is nothing in there which specifically does this. In this way, the marketing is perhaps a little misleading. Instead, it actually focuses more on improving energy levels for explosive actions to build muscle. Pricing Review: What Will Evlution Nutrition ENGN Shred Cost Me? The ENGN Shred pre-workout supplement ranges from around $32 to $42 for 30 servings, depending on where you purchase it. This is certainly cheaper than a lot of the other pre-workout supplements available online. It’s also possible to get some great package deals, like buy one get one free. All in all, we can’t help but think that ENGN Shred is more of a budget option. 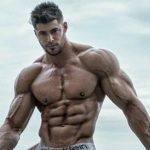 If you are male bodybuilder looking for quick gains then it might be for you. For anyone else, we are not convinced. 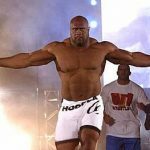 Side Effects with the Evlution Nutrition ENGN Shred Supplement? One factor to bear in mind is that this product contains a lot of caffeine. The amount is a little high for those who may be sensitive to it. Other ENGN Shred side effects may include facial flushing or gastrointestinal discomfort due to the inclusion of Niacin. In small quantities, however, this should not be an issue, but if you’re unsure, consult a doctor before using this supplement. ENGN Shred pre-workout seems to be very popular in the UK, and most reviewers have given it a positive rating! They say it doesn’t cause any jitters and comes in a number of great flavors. People also liked the focus and energy it provided. However, some have given poor ENGN pre workout reviews, saying it gives no more energy than a coffee. Others have said it tastes like “Duracell” and burns their mouth. 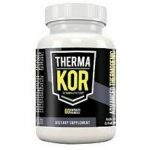 Given the low price, it’s likely many customers have taken a chance on this product if you are looking for a stimulant free, natural choice it might not be the best option for you. 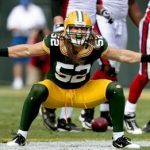 So, now we’ve gone more into detail about ENGN Shred, let’s break it down. A number of tasty flavors. Excludes a number of key ingredients. Not useful for weight loss. Mixed reviews in terms of taste, energy levels, and jitters. Powher vs Evlution Nutrition ENGN Shred Which Is Better? 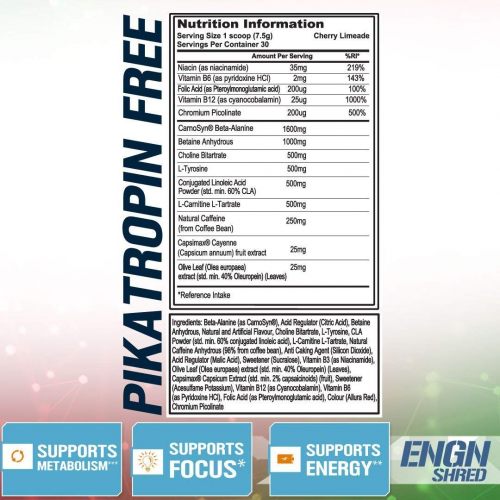 Overall, ENGN Shred contains a lot of ingredients which don’t necessarily work so well. It’s also mainly for bodybuilding purposes; a little different from Powher. 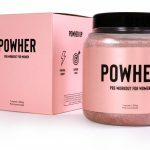 Powher focuses mainly on promoting better energy and weight loss, rather than better energy and muscle gain like ENGN. It also contains a lot more natural ingredients than ENGN Shred. Both products have their pros and cons. 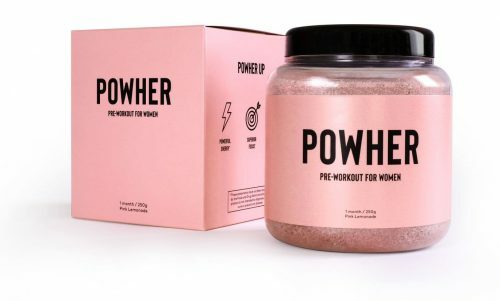 Powher is definitely the best choice for women due to the low stimulants, ENGN is clearly a better pick for men. 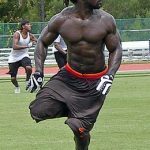 Will Evlution Nutrition ENGN Shred Work For You? This product seems to be effective for most people. However, everyone is different, and what may work for one person, might not for another. At the end of the day, trying it for yourself is the best way to find out. Just keep in mind that, if you’re looking to lose weight, perhaps look at something with more suitable ingredients. 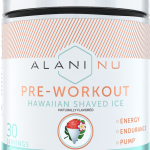 Overall, we think this pre-workout supplement is a contender for one of the more solid picks on the market. It retains mostly positive reviews and features some decent ingredients without making too much of a dent in your wallet. Generally, it’s aimed mainly at bodybuilders and isn’t likely to directly improve weight your loss results.